Funding for NSW Council employees… 50% – 74% funding for qualifications – suit all council divisions. Local government and authorities have diverse work-forces, and are often challenged when managing career development and training obligations. We have established a School of Local Government with courses that have been designed to meet those needs of all employees – Administration Staff, Management Staff and all levels of Operational Works Staff. 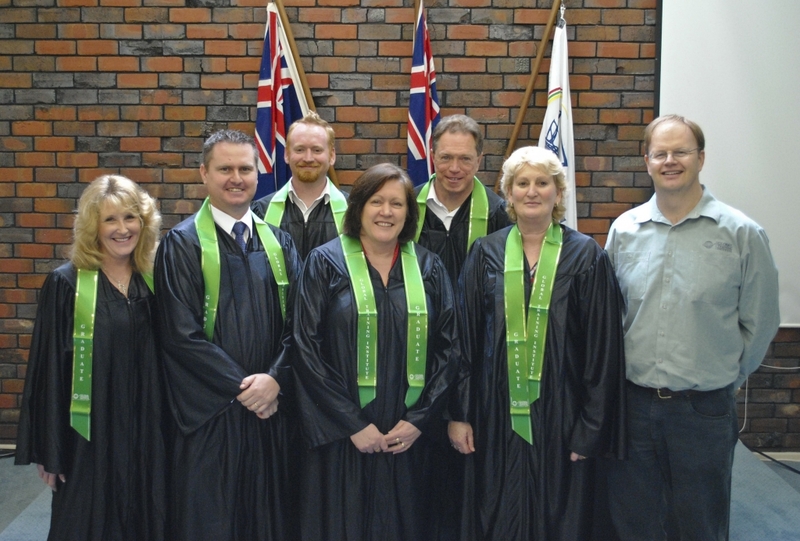 Global Training Institute is a Registered Training Organisation, with an impeccable reputation for delivering local government courses and council training. Acquiring a Qualification from our School of Local Government demonstrates that a student has understood the concepts and mastered the practices that are needed to carry out a particular job role. They encompass the areas of Management, HR, Project Management and Civil Construction. View the range of Local Government qualifications below, and select a program to suit you. They are practical qualifications that are suitable for staff of all levels, including Administrators, Supervisors and Managers, and they can be completed with the flexibility of online, online with residential workshops, and through in-house training. Importantly, we recognise that your team members may have practical experience in some of the subjects that make up a Qualification course, and we make allowances for this prior knowledge wherever possible. In fact, just like many of our students, you might just need your staff members to have that ‘piece of paper’ that confirms their knowledge and experience. A Local Government qualification from Global Training Institute is recognised Australia-wide, and is highly regarded internationally. All qualifications are accredited and in line with AQF standards. It will boost the productivity of your staff and help them to achieve their career goals. Contact us for more information regarding Local Government courses. The diversity of our training courses, and the flexible ways in which they can be undertaken, are a reflection of Councils’ needs in the twenty-first century – from ‘soft-skill‘ courses like customer contact, teamwork, and leadership, through to management and civil work courses. Global Training Institute‘s trainers are hands-on with a wealth of business and management work experience. Through interaction with many different Councils they bring you, your management and staff, fresh concepts and practical strategies that can be applied immediately to current work situations. To view the skills and statistics surrounding Local Government positions, click here. If you would like more information about Global Training Institute’s Local Government courses, please Contact Us.